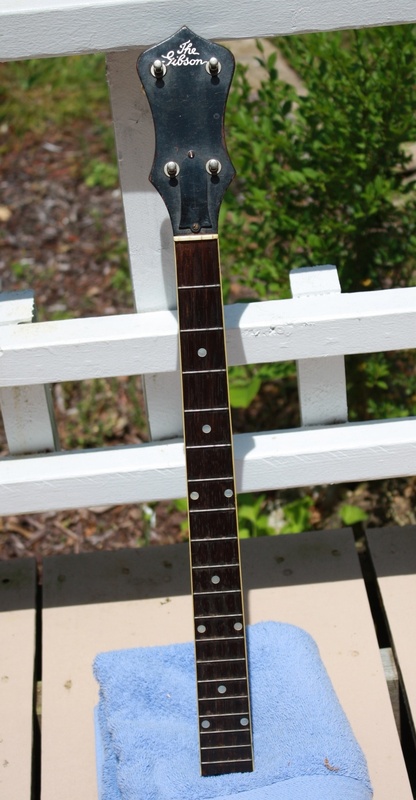 “This banjo immediately peeked my attention when it became available on ebay due to the ‘coke bottle’ peg head shape and the presence of a truss rod. These features were not commonly available on earlier tb1s. 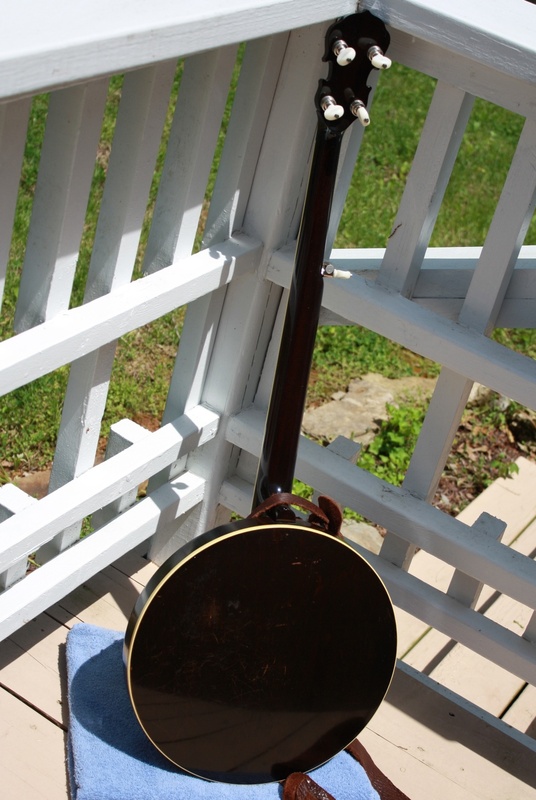 It also had Grover geared tuners as opposed to the friction tuners common on earlier editions of this style. After my purchase, I pondered how I wanted to do the conversion. I settled on keeping the style one configuration (mid 30s as opposed to the 1929 version), i.e. ‘bats and gulls’ fiddle peg head neck and changing the shoe-bracket construction to a bit later one piece flange version. 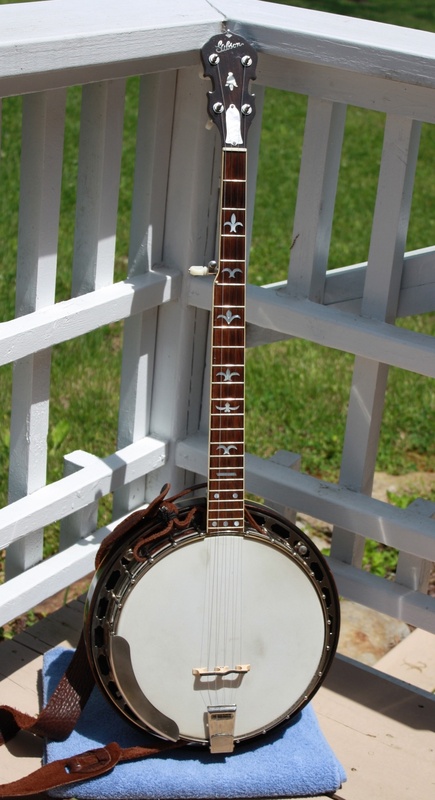 The original hardware was kept (grooved tension hoop, flat hooks and nuts and the windows style Presto tailpiece) and added to a Recording King flange along with a no hole Hatfield tone ring.